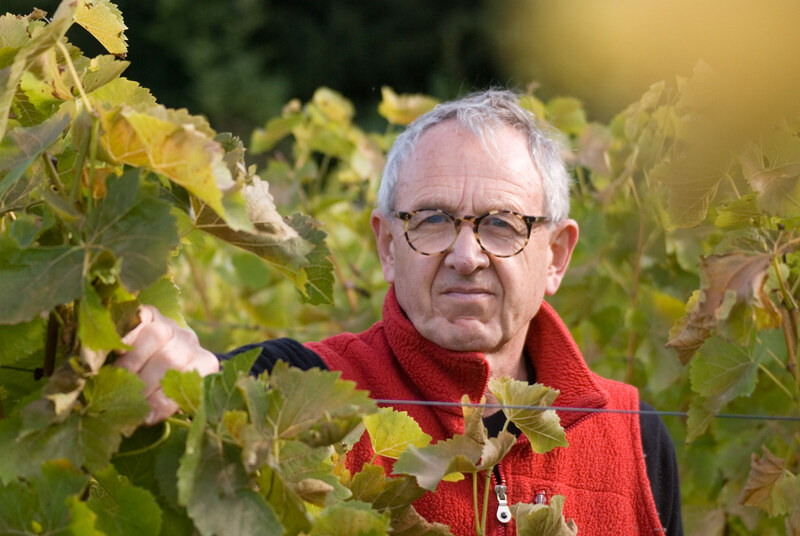 Stephen Skelton has been involved with growing vines and making wine since 1975. He spent two years in Germany, working at Schloss Schönborn in the Rheingau and studying at Geisenheim, the world-renowned college of winegrowing and wine-making, with the late Professor Helmut Becker. In 1977 he returned to the UK to establish the vineyards at Tenterden in Kent (now the home of the one of the UK's largest wine producers, Chapel Down Wines), and made wine there for 22 consecutive vintages. From 1988 to 1991 he was also winemaker and general manager at Lamberhurst Vineyards, at that time the largest winery in the UK. Wines Stephen made won the Gore-Browne Trophy, the award given to the English and Welsh Wine of the Year in 1981, 1990 and 1991. He now works as a consultant to vineyards and wineries in the UK and has helped set up many vineyards for the production of both still and sparkling wines. In 1986 Stephen started writing and lecturing about wine and has contributed articles to many different publications. In 1989 he wrote (and published) his first book, The Vineyards of England and in 2001 his second, The Wines of Britain and Ireland (Faber and Faber) which won the André Simon Award for Drinks Book of the Year. In 2007 he wrote and published Viticulture – A guide to commercial grape growing for wine production which is aimed at MW and Diploma students. This book, which is recommended by the Wine and Spirit Education Trust (WSET) for its students, has now sold almost 5,000 copies worldwide. He has written and published two editions of the industry 'bible' – The UK Vineyards Guide (2008 and 2010) – and is in the process of updating this title. In 2014 he wrote and published Wine Growing in Great Britain, a complete guide to growing grapes for wine production in cool climates which is helping growers, both in the UK and cool climates overseas, get to grips with the practicalities, both economic and viticultural, of establishing their vineyards. Stephen is the English and Welsh vineyards contributor to the annual wine guides written by Hugh Johnson and Oz Clarke and wrote the sections on English and Welsh wine in the 7th edition of Hugh Johnson and Jancis Robinson's World Atlas of Wine and the 4th edition of Jancis Robinson's Oxford Companion to Wine. He has also helped with, and written entries on, UK wines for many other wine books and publications. He lectures on viticulture at Diploma level annually in Norway and Canada. Stephen was a director of the English Vineyards Association (EVA) from 1982–1995 and of its successor organisation, the United Kingdom Vineyards Association (UKVA) from 1995–2003. He was Chairman of the UKVA from 1999–2003. He was also at various times between 1982 and 1986 Treasurer, Secretary and Chairman of the South East Vineyards Association, Secretary of the Circle of Wine Writers between 1990 and 1997 and has served on various EU committees in Brussels representing UK winegrowers. In 1999 he took three years off from the wine business to do a BSc (Hons) in Multimedia Technology and Design at Brunel University. While at Brunel, Stephen was awarded the Ede and Ravenscroft Prize for his final year project. In 2011 he was awarded an Honorary Doctorate of Business Administration by Anglia Ruskin University, Chelmsford and in 2012 completed an MA in Creative Writing at the University of East Anglia, Norwich. In 2003 Stephen became a member of the Institute of Masters of Wine (IMW), winning the prestigious Robert Mondavi Trophy for gaining the highest marks in the Theory section of the examination and in 2005 he won the AXA Millésimes Communicator of the Year Award for services to the MW education programme. He served on the MW Education Committee from 2003 – 2009 and was the education course wine coordinator. In 2009 he was elected to the Council of the Institute of Masters of Wine and in 2014 became the Deputy Vice Chairman of the IMW. In 2014 he was also appointed to be Moderator for the IMW Research Paper, the 'third paper' of the IMW examination. Stephen has also judged on or still judges on: the International Wine Challenge, the International Wine and Spirit Competition, the Japan Wine Challenge and the Veritas Wine Awards and has been Panel Chairman for the English and Welsh wines for the Decanter World Wine Awards since 2009. After 30 years living and working in Kent, he moved to London in 2000 and now lives in Fulham. His three children, and four grandchildren, all live in far flung parts of the world: New York, Hawaii and the Isle of Mull in Scotland. When not involved in one way or another with vines and wines, he is to be found playing as much bridge as possible.